Powerwave fast wireless charging stand ($50). Anker makes some of the most solid, reliable charging products on the market, and this is no exception. 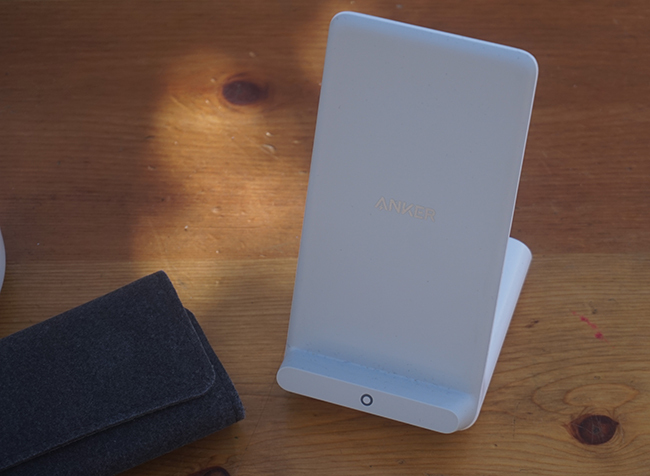 While iPhones are compatible with hundreds of qi chargers on the market, Anker’s is the fastest you can buy and includes the right charging brick to deliver the highest speeds. 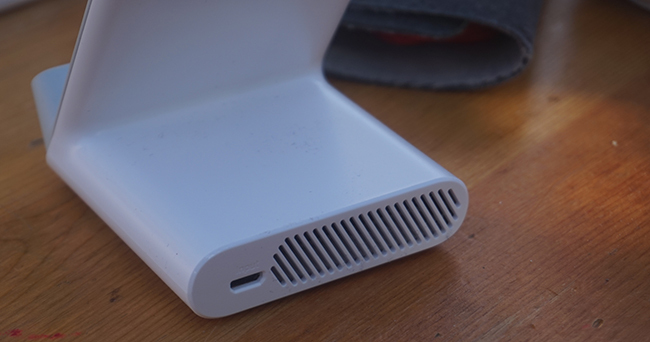 In fact, this is such a heavy-duty charger, it has a cooling fan built into the base. Don’t worry, the fan is almost totally inaudible when it’s on (it’s similar to a laptop fan). For those who charge on the nightstand, the blue light on the front of the charger dims when the lights are off. 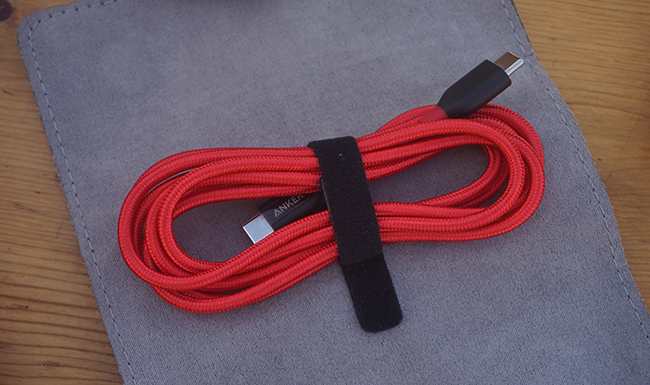 Powerline+ Braided 6′ USB-C cable ($16). It’s handy to have an extra charging cable for your devices, and the newest USB-C Macbooks are no exception. Anker has built a sturdy, braided cable for your MacBook that even includes a felt magnetic storage case. Best of all, it’s considerably less costly (and so much cooler-looking) than Apple’s rubber/white cable! 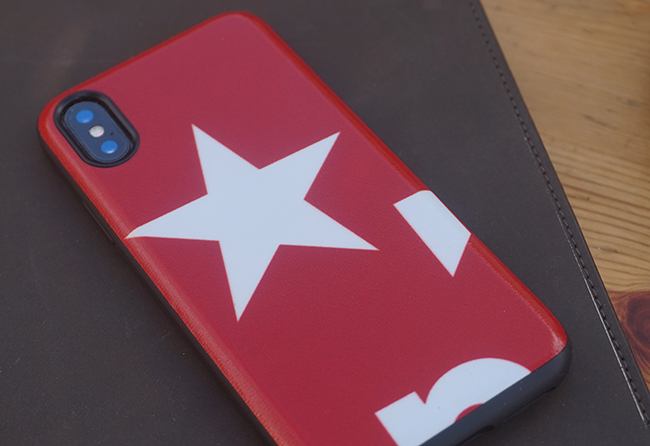 On their site, you get to pick the case that suits you best, and I chose the one pictured above with the red star. A suspicious friend thinks mine was once a Macy’s billboard, but I’m not so sure. TwelveSouth’s PlugBug has been one of those MacBook addons that is nearly a must-buy. 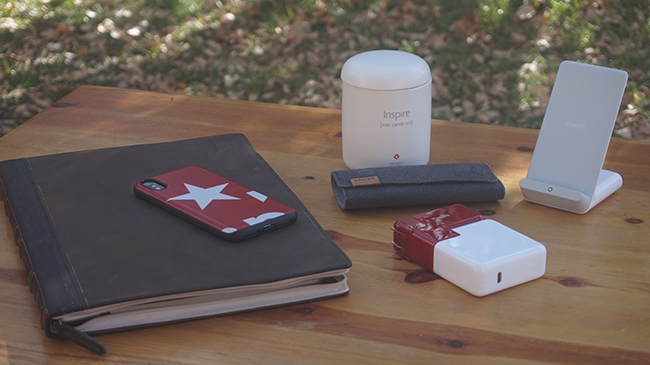 Attaching to your exiting apple charging brick, the PlugBug Duo ($40-50) adds 2 USB charging outlets, allowing you to charge 3 devices instead of just one. 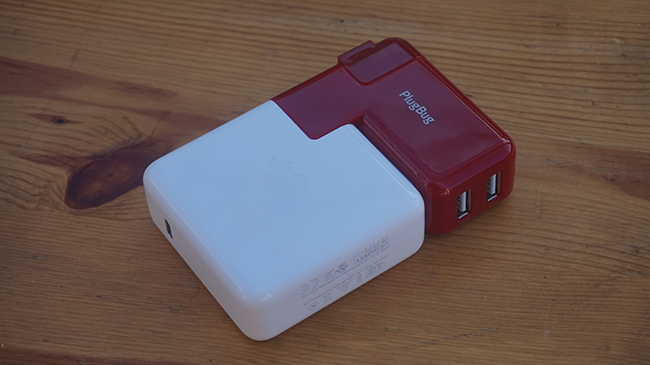 In fact, you can just use the PlugBug without Apple’s brick if all you need is USB power. I get to charge iPhone, AirPods and Macbook with a single outlet, and that’s great at a busy coffee shop. 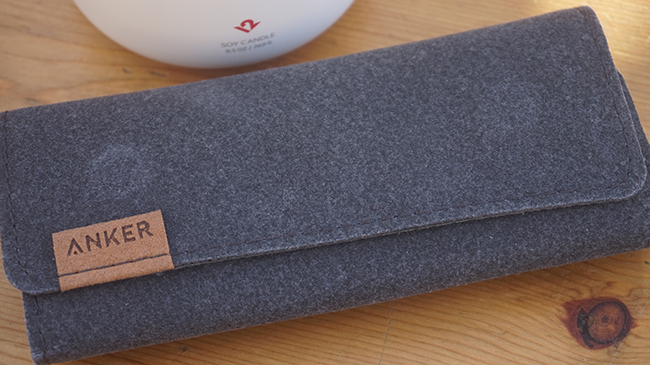 The MacBook is an elegantly-designed piece of hardware, so it’s natural to want to protect it. 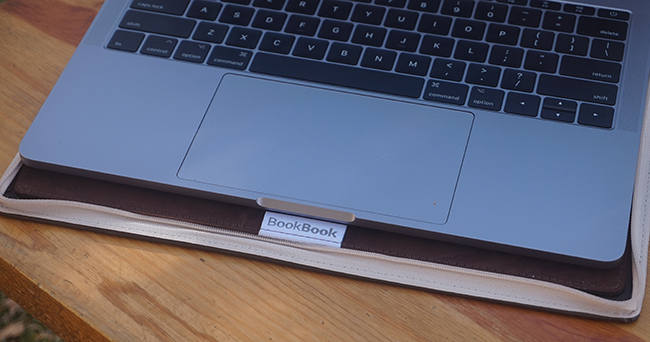 TwelveSouth’s BookBook ($80) is a beautiful zip-around case for the Mac with a little bit of extra space (there’s a flap under the keyword to hold a few papers). 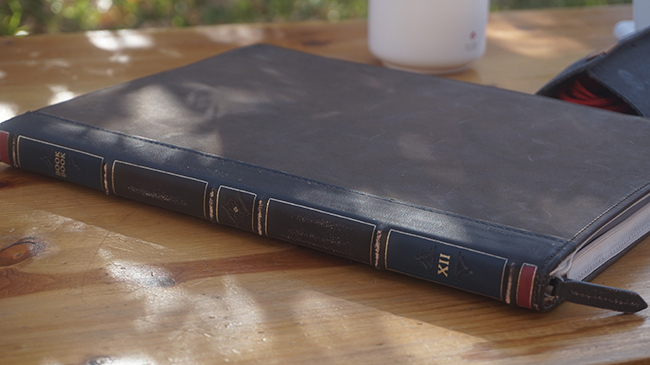 Weathered leather on the outside, and matching soft material inside, this is a beautiful complement to your laptop and a great minimalist travel case. 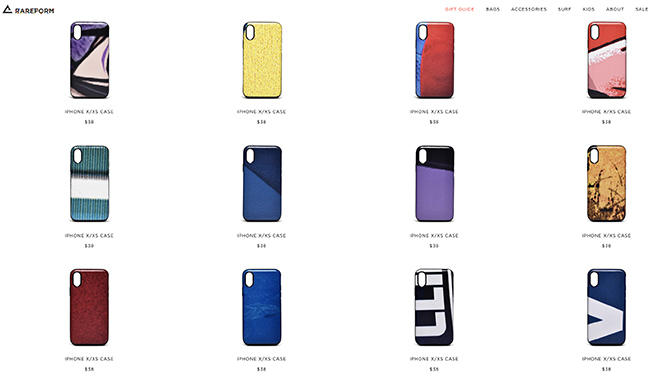 What do you get the Apple fanatic who has every accessory already? You’ve got to see (or is it smell?) 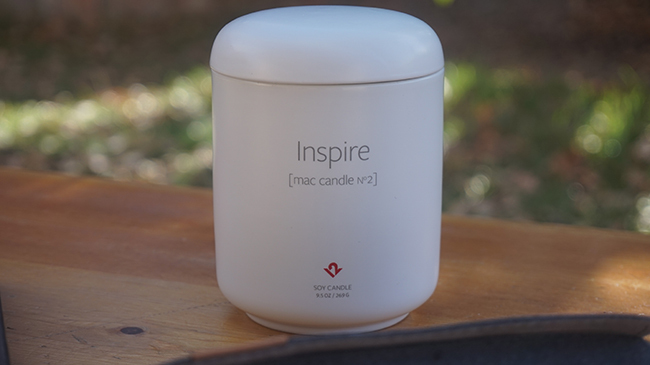 TwelveSouth’s “Inspire” Mac Candle ($30): a premium soy candle that’s designed to smell like you’re unboxing an Apple product.